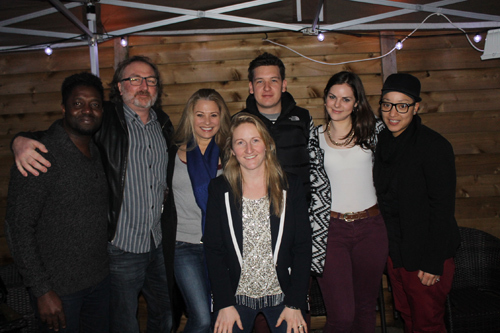 The Henley Herald was honoured to be invited to see the first screening of Jo Southwell’s new short films ‘Cover Me’ and ‘Covered’ last week. Both films are based on the same story of one girl, one lie and one choice. Jo thought this film would have a strong emotional impact on her audience as it tell a very common story through the thoughts and flashbacks of a young girl who is mentally struggling to to survive her own life. 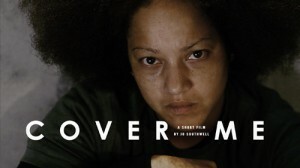 ‘Covered’ tells the story in a very explicit way – both visually, through the dialogue and sounds. Making it quite an uncomfortable film for the audience to watch but many of whom liked the shock factor of it. The soundtrack for the films is performed by Jo’s step-daughter, Totie Southwell and adds real impact to this horrific story. Alexander Arthur an upcoming actor from Bedfordshire who plays the father in both films brilliantly is due to star in a new production of Romeo & Juliet 2014 next year. Jo hopes that these films will be as successful as her first one ‘Holding On’ which was nominated for best Short Film at St Albans Film Festival and was also included in the Short Film Corner at Cannes 2013. Holding On is a short film which tells the story of one man’s struggle to HOLD ON to his life as Alzheimer’s takes hold.